Performance Aero was created by Cameron Rolph-Smith and delivers a broad range of aviation services. 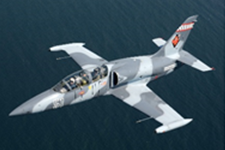 We concentrate on the restoration, maintenance and operation of Warbird, Classic and High Performance aircraft, while offering aircraft management services, sales, importing and quarantine assistance and provide entertaining aerobatic displays at events and air shows. 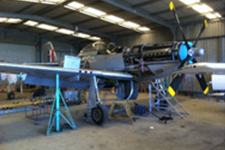 Our facility is a Civil Aviation Safety Authority (CASA) approved maintenance workshop specialising in Warbird, Classic and High Performance aircraft. We are committed to our customer’s education and keeping their aircraft in excellent condition, we believe it’s the underpinning of and key to a safe, rewarding and enjoyable flying operation. Our dedication is to customer satisfaction and quality workmanship. Our talented team are always on the lookout for new challenges and welcome all types of aircraft. Performance Aero is based at Archerfield Airport, Brisbane’s regional airport. Location is everything, especially when you’re a specialist surrounded by engineers, suppliers and consultants. With close proximity to Ports to assist with importing and exporting. Performance Aero was established in 2010 and has built a reputation as the leading aircraft maintenance and restoration facility. Our team pride themselves on quality workmanship with reliable and honest service. Copyright © 2017 Performance Aero. All Rights Reserved.